We extend free initial consultations and case evaluations. In fact, our firm bears all the costs of bringing a lawsuit — you pay no attorney fees unless we recover compensation. When your family is met with disaster and you or a loved one becomes injured through no fault of their own, you may not know where to turn. If the injury was the result of an unexpected accident, you might be in a situation where you’re struggling to pay for your medical bills and are being treated unfairly by insurance adjusters at the same time. The Baltimore personal injury lawyers at Belsky, Weinberg & Horowitz, LLC are on your side and ready to step inside the ring and fight on your behalf. Our legal team knows how to handle tough opponents both inside and outside of the courtroom. We won’t hesitate to go up against the toughest insurance agencies in Maryland or a major corporation that’s responsible for your injuries. We believe in fighting for the underdog—for families like yours that may feel tossed to the curb by agencies and organizations that sometimes prioritize their pocketbooks more than anything or anyone else. When we made the decision to focus on personal injury claims, our trial lawyers knew that more than anything, we wanted to help accident victims gain the ability to seek an easier recovery and have a voice against opponents they may not otherwise be able to take on. Injury cases are often the most difficult of claims to succeed with in the legal industry, but we take immense pride in every case we represent clients for. This pride is visible in every victory we accomplish. As a personal injury law firm that was born and bred in Baltimore, we’re familiar with what it takes to win a civil lawsuit against a local company or group of insurers. We understand Maryland laws and the loopholes some insurers try and use to undercut injury victims from compensation they’re entitled to. We make it our goal to deliver justice where it’s due—in the most honest, impactful way possible—one that returns power to the hands of our clients. Whether you were injured in a car accident, truck accident, or suffered after a nurse or doctor committed medical malpractice, we have your back during your time of need. Our personal injury attorneys have the experience your case deserves and requires, and we know how to get you the answers your family seeks. It’s natural to be desperate for answers following a tragic incident—answers as to why the accident occurred and how the duties of responsibility correspond with those answers. We’re here to help you receive those answers as well as the ability to find closure. In addition to personal injury cases, our lawyers help Baltimore residents with legal malpractice cases and complex workers’ compensation claims. We understand why most workers’ comp claims are denied in Maryland and are happy to work with you to make the most out of your claim. Our goal is to maximize your corresponding chances of success and let you continue to provide for your loved ones. At Belsky, Weinberg & Horowitz, LLC, our injury lawyers all have proven track records of success and are local and nationwide leaders in our chosen areas of practice. If you’d like to know what we can potentially do to help you and your family, we encourage you to get in touch with us today. We offer zero-obligation consultations at no cost and will offer honest legal advice without any hurdles. There’s a time to fight against major corporations, groups, insurers, and individuals that have committed harm to another. When we hold parties responsible for their wrongful actions, we establish a system of accountability that protects our loved ones from getting injured in the same way. Belsky, Weinberg & Horowitz, LLC believes in fighting. So should you. A Montgomery County jury reached a $5.6 million verdict after a nine-day medical malpractice case against an osteopath for causing nerve and spinal injuries during a high velocity cervical manipulation performed upon his patient. This is one of the first reported cases that we are aware of where an expert was stricken for failing to produce financial information as to their income as an expert witness. The plaintiffs were represented by attorneys Alan J. Belsky and Valerie A. Grove. An Anne Arundel County jury returned a $1.95 million verdict in favor of Robert Howard, 56, who was struck by a cement mixer truck while working on his disabled truck on the northbound shoulder of the Baltimore-Washington Parkway in April 2005. The accident resulted in the death of one pedestrian and severe injuries to Mr. Howard. Robert Howard was represented by Alan J. Belsky and Valerie A. Grove of Belsky Weinberg & Horowitz, LLC. In Bussey v. Harbor Hospital Center, Inc., a $5 million jury verdict was rewarded in a case involving a 68-year-old woman who fell in her hospital room and fractured her hip, causing complications that eventually resulted in her death. Her family filed a wrongful death lawsuit against Harbor Hospital Center, Inc. as a result. The hospital offered to settle for $50,000 and the offer was rejected, resulting in the jury verdict. In Wilson v. WMATA (District of Columbia), a $1.1 million verdict was rewarded in a case involving an electrician who was electrocuted while performing work at the Shady Grove Metro Station in Rockville, Maryland. The defendant was found negligent in re-energizing a power circuit without first notifying the plaintiff. The plaintiff sustained electrocution-induced neck and back injuries and had to undergo treatment for post-traumatic stress disorder. 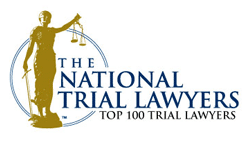 We're trial attorneys with courtroom experience winning some of the most difficult and complex cases Maryland has seen. We work each case to get every dollar of compensation you deserve. Our personal injury lawyers have a winning track record including several multimillion-dollar settlements and verdicts. Our Maryland attorneys each bring over 25 years of experience to every case they handle. We treat our clients like family. We place our clients before everything else we do because we understand that a strong attorney-client relationship is essential to a successful case and settlement. Our law firm stands up to major corporations, medical providers, insurers, and the defense firms that work with large companies. We won’t hesitate to fight for what’s right for our clients.